A LUXURY CONDOMINIUM FOR OCEANFRONT LIVING. STEPS AWAY FROM THE ATLANTIC OCEAN, BACK BAY PIER & PARK, COURTYARD POOLS, GRILLING STATIONS, GAME ROOM, LIBRARY, EXERCISE ROOM AND ELEVATOR. THREE POOLS TO CHOOSE FRIM; COURTYARD BUILDING A, COURTYARD BUILDING B AND AN OCEANFRONT POOL WITH "SWIM UP BAR" IN SEASON. NEW LIVING AREA FLOORING 2017 AND HVAC IN 2016. GREAT INVESTMENT PROPERTY WITH SOLID RENTAL HISTORY. 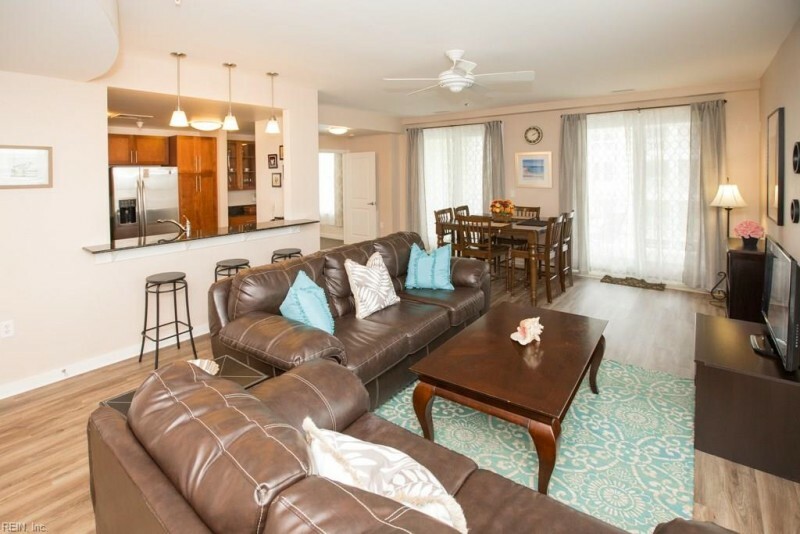 Send me more information about the listing at 3700 Sandpiper Unit 301, Virginia Beach, VA 23456, MLS# 10182721. This 3 bedroom, 2 bathroom home located at 3700 Sandpiper Unit 301, Virginia Beach, VA 23456 has approximately 1,595 square feet. It is currently listed for $479,999 and has a price per sqft of $30,094. This home is currently Active under the MLS#: 10182721. This listing is provided by Sanctuary Realty at Sandbridge. 3700 Sandpiper Road, Virginia Beach was built in 2006. It has Parking Gar, Assigned/Reserved, Covered parking.The kitchen includes Dishwasher, Disposal, Dryer, Microwave, Elec Range, Refrigerator, Washer.